MEQUON, WI—Taken aback by their mother’s high-maintenance wardrobe, household sources confirmed Thursday that none of Bianca Dern’s clothes can be simply placed in a standard washing machine for cleaning. “Mom won’t even let me touch any of her laundry. I’ve tried to help out, but everything needs to be washed according to some super specific method,” said daughter Vanessa Dern of her mother’s various work slacks, sweaters, and silk-blend blouses, all of which involve unique, labor-intensive, and almost unheard-of methods of individual laundering. “Her jeans have to be hand-washed and then hung up to dry outside. There’s a tweed jacket she scrubs with a special brush. She has a weird sundress that she just rinses with a water-and-baking-soda solution—I have no idea what kind of fabric that is. 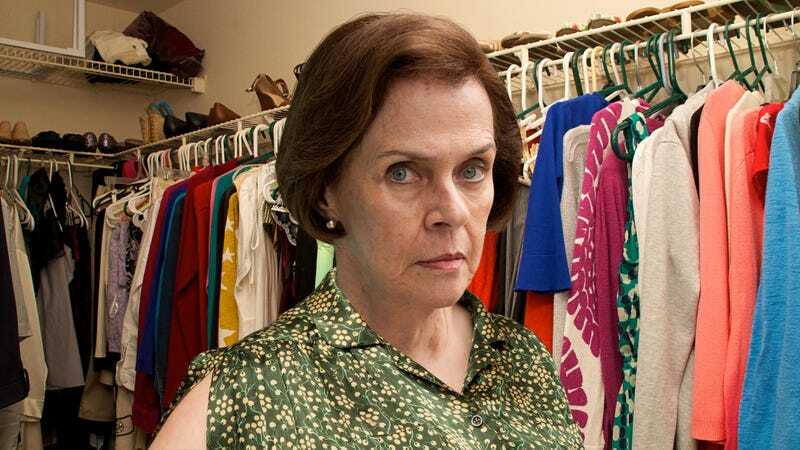 She only owns two things that can even be sent to the dry cleaners, and she pins special instructions to those.” The younger Dern admitted to simply spraying her mother’s dirty laundry with Febreeze and calling it a day.